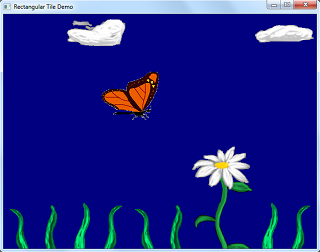 A butterfly flies over grass and flowers. 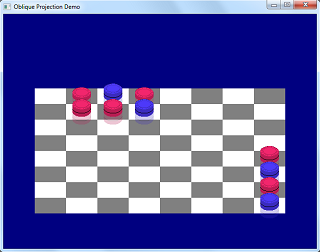 Demonstrates a tile based game using orthogonal projection. 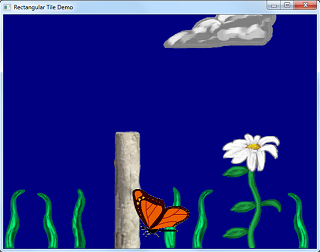 The butterfly is controlled by the player. The map scrolls when the butterfly reaches the screen edge. Vertical scrolling is supported. Collision between butterfly and post. 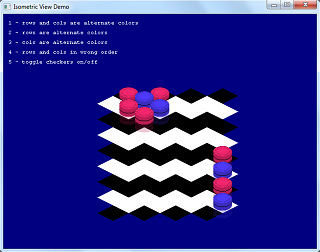 Demonstrates using Entity collision in a tile based game. A checkerboard is drawn using oblique projection. The checkers have a reflection. The board and checkers are drawn from back to front. 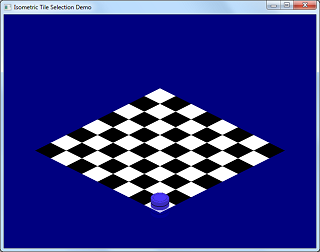 A checkerboard is drawn using isometric projection. A checkerboard is drawn using isometric projection with the tiles drawn in a grid pattern. Demonstrates how to position the tiles to form different patterns. Different row and column drawing orders may be selected. 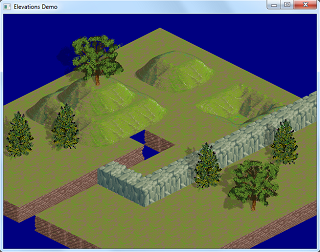 A terrain map is drawn using isometric projection. The tiles are drawn to represent different elevations. Demonstrates how to incorporate third party tile sets. A terrain map is drawn that uses multiple map layers. Multiple map layers permits structures that are taller than one tile. 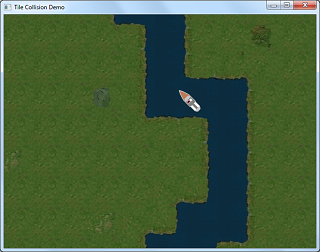 A boat may be driven through a scrolling tile map. The boat collides with the tiles. 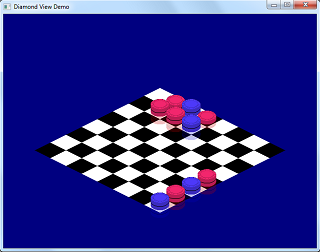 Demonstrates using an Entity object to perform tile collision tests. The tile map is loaded from an external file. Zoom in and out with +/- keys. The checker moves to the selected square.